The DIRT on Cleaning – Page 4 – Queen Vacuum + Learning = Good, Clean, Fun! 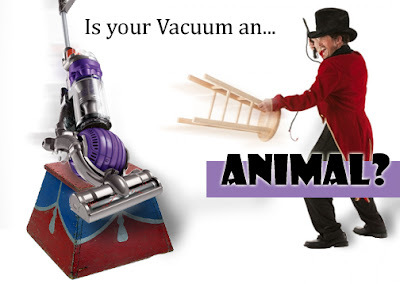 Is Your Vacuum an Animal? Learn how to TAME that wild, wayward creature! If you are up to date on television and printed advertising, and/or a fan of the Home Shopping Network, you may believe that an “Animal” vacuum is the long-awaited solution to your challenging home cleaning routine! Perhaps you already own one and sing its praises every day. Perhaps you own one and feel like chucking it out the window for the amount of trouble it gives you. For those of you in the market for a new machine and eyeing up those aforementioned “Animal” vacs – pay close attention! There is a lot of misconception and blatant misinformation out there regarding the best machines for pet-owning households. We will work on straightening some of that out right now! And if you already have a vacuum you’re generally pleased with, yet often struggle to keep it performing like you expect, you’ll enjoy the helpful tips laid out in this article too. WHAT EXACTLY IS AN “ANIMAL” in the world of vacuums? If it is a Dyson brand vacuum, that means it’s PURPLE. That’s right, color is the only real difference between any Dyson of the same model series. The main body, motor, filters, brush roller; all the same! What do change are the accessories packaged with it. A Dyson DC65 “Animal” will have an additional turbo tool and possibly a low-reach, bare floor tool (versus a standard DC65 model.) There’s nothing at all wrong with that setup, per se. Most other brands follow this naming pattern. 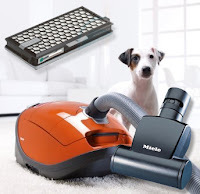 An “Animal,” “Pet” or “Cat & Dog” model vacuum will usually come with a special set of tools to remove pet hair from challenging surfaces like upholstery and stairs. The issue is that most consumers are under the false impression that the vacuum has more suction, a bigger motor, or better filtration; not necessarily true. For example, a Miele C3 series Cat & Dog, Marin or HomeCare canister vacuum would ALL handle pet hair incredibly well. Why? In addition to a large capacity filterbag, these “siblings” are also power-teammodels. That means that in addition to raw suction power they are equipped with a robust electric power nozzleto deep clean carpets and rugs. But with the “Cat & Dog” you’ll also enjoy a BONUS handheld turbo brush to easily blast through embedded fur on above-floor surfaces like upholstery, auto interiors, pet beds and more! Lastly, instead of the standard HEPA media exhaust filter (used for allergen control) the Cat & Dog’s filter cartridge is chock-full of odor absorbing activated charcoal to combat stinky dog smells. All C3 series canisters are otherwise the same size, with the same motor and suction power. See the pattern? Why does your vacuum behave like an errant puppy? Sure, you may feel disappointed or even cheated that an “Animal” model isn’t any different than its relatives. Trust me; the special tools packaged with one can make all the difference in pet hair removal. But they’re only helpful if you use them. AND you still must maintain the vacuum as required in order to keep it working at peak performance, Animal or not! Author Queen VacPosted on September 25, 2016 November 1, 2016 Format ImageCategories HomeCare Hacks, Vacuum Cleaners - Tips, Tricks & ReviewsTags Animal, Dyson, pet vacuum, queen vacuum, vacuumsLeave a comment on Is Your Vacuum an Animal? Learn how to TAME that wild, wayward creature!